4256 ENT SWITZERLAND (1907) Canning and food preservation system*. 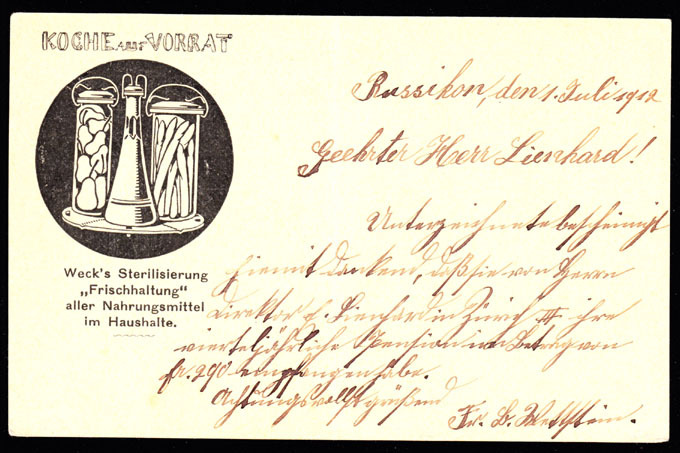 5Fr postal card (N) with illustrated ad for Weck's Sterilisierung, showing canned fruits and vegetables. Vertical fold down middle. 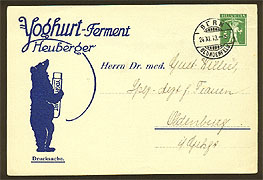 4779 ENT SUISSE (1913) Ours* tenant le Yoghourt-Ferment* Heuberger. Superbe entier publicitaire (O) à 5 centimes vert. "Heuberger." Jolie illustration! 8737 ENT SWITZERLAND (1924) Women's Charitable Organization. 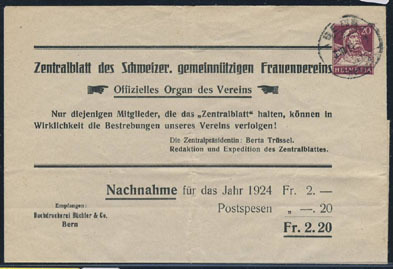 Postal wrapper (O) with printed ad for Swiss Women's Charity. 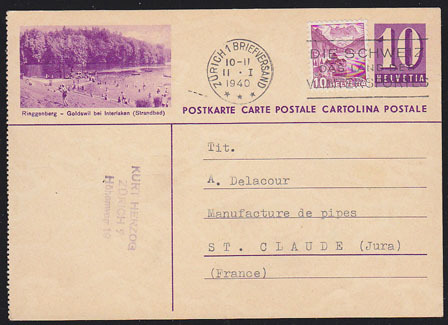 11518 ENT SWITZERLAND (1940) People swimming in lake*. Postal card (O) with corner illustration of Ringgenberg - Goldswil bei Interlaken (Strandbad).